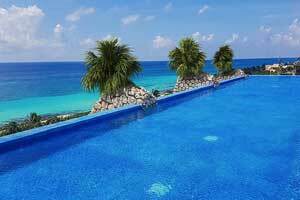 Xcaret Mexico is a natural haven by the Caribbean Sea and the mystic jungle of Riviera Maya. A unique destination inspired by Mexican traditions, art and culture. 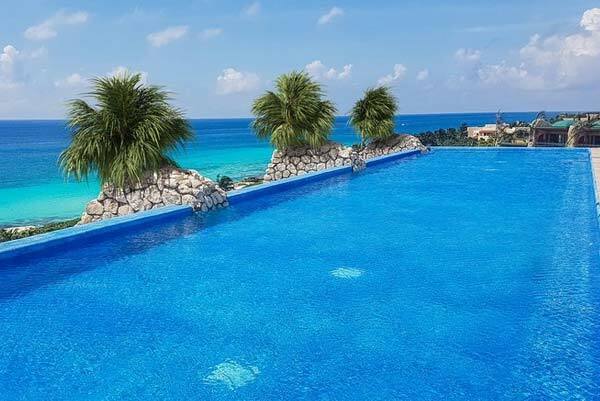 Enjoy the luxury of premium accommodations and of being surrounded by nature at the Hotel in Xcaret Mexico. Live an authentic experience that redefines and refines the concept of an all-inclusive resort. 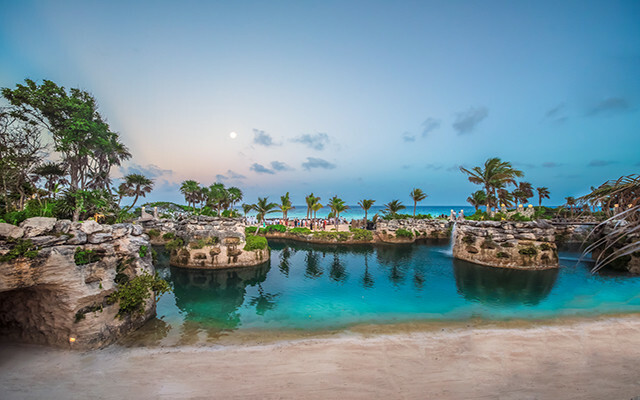 At Hotel Xcaret Resort Mexico you can enjoy a one of a kind All-Fun Inclusive® vacation that will open your imagination to new ways of connecting with nature, yourself and your loved ones. 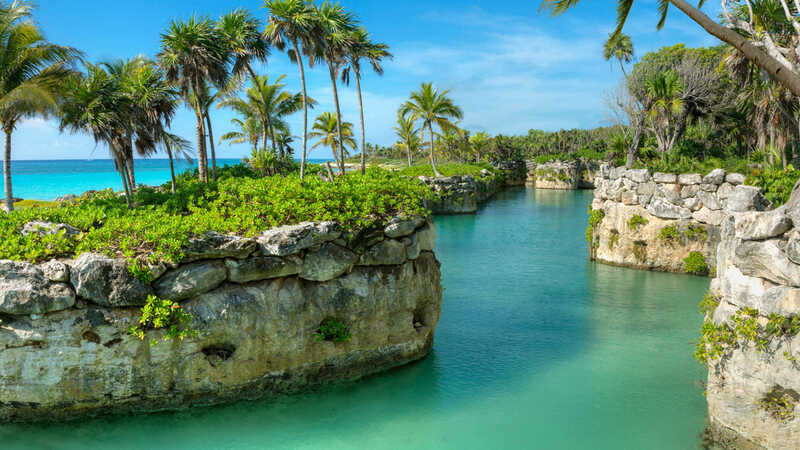 Set between the Riviera Maya jungle and the turquoise waters of the Caribbean Sea, Xcaret Mexico Hotel, is a destination celebrating history, nature and entertainment. 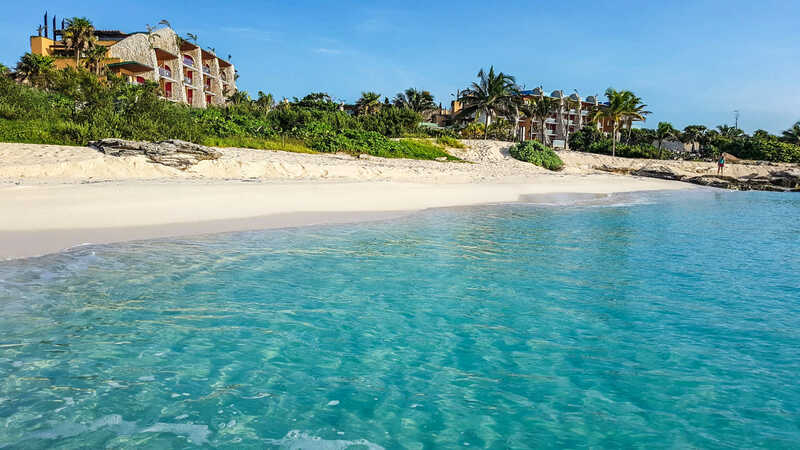 Its luxury-style experience, enhanced by the Mexican warmth, and the one of a kind leisure All-Fun Inclusive® program will create an everlasting memory in your heart for year to come. 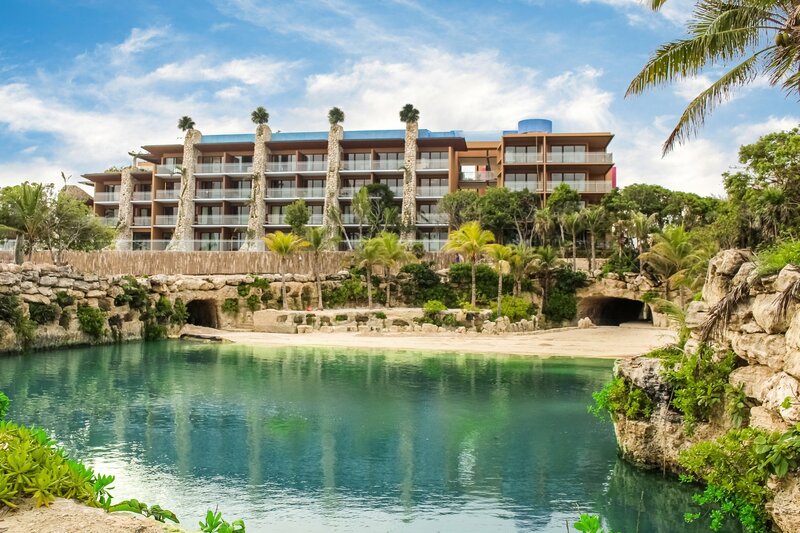 With a strong Mexican essence, Hotel Xcaret Mexico conveys modernism, nature and tradition in its design. Feel the connection with dream-like surroundings from any corner of your all-view room. 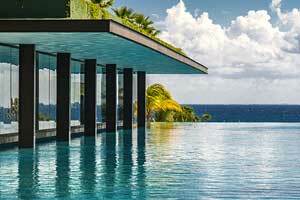 Delight with astonishing views of rivers, ocean, jungle or breathtaking infinity swimming pools. The Everything Flows service® culture will ensure a seamless experience. Unique and vibrating Nature Parks, inviting landscapes, experiencing the culture and interacting with our people, will redefine your vacation and change you forever. 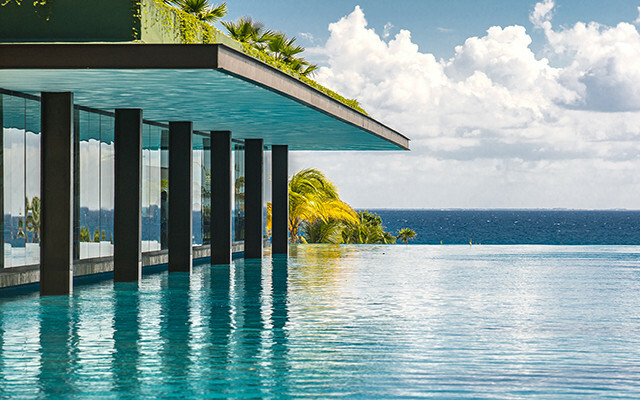 Ocean, garden, river or pool. 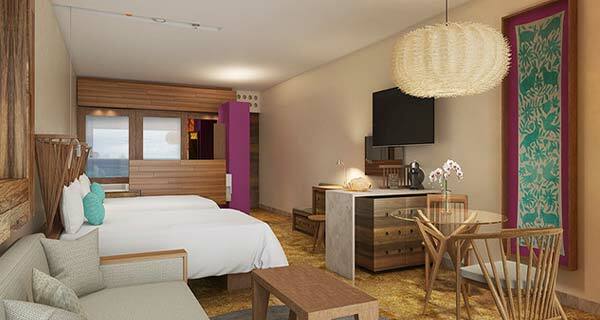 The all-view rooms at Hotel Xcaret Mexico have been designed to bring in nature to you, wherever you are in your room. The combination of comfort, art and contemporary design in its interiors fully enhances the essence of the Mexican experience. 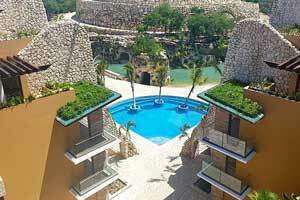 Hotel Xcaret Mexico is an exclusive resort especially designed with charming and luxurious spaces. 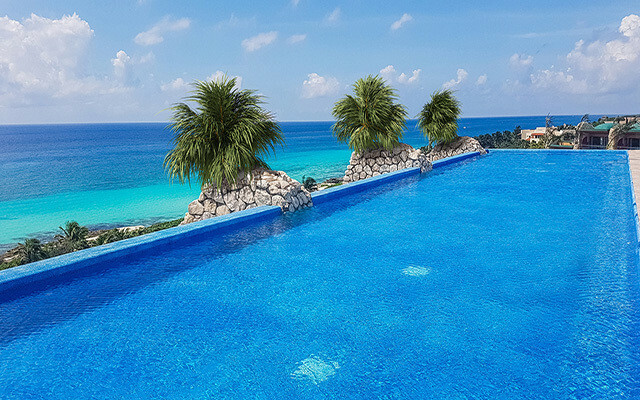 Free your senses as you merge with the majesty of the Mexican Caribbean and the tropical jungle. Our All-Fun Inclusive® program transforms and outmatches the traditional All-Inclusive concept, as we offer unlimited access to our Parks: Xcaret, Xel-Ha, Xplor, Xplor Fuego, Xoximilco and Xenses, as well as deluxe Tours to Xenotes and Xichen, with round-trip transportation included. With our EVERYTHING FLOWS® service your experience will become magical, let the concierge team gets in charge of everything, just kick-back and enjoy. Your stay includes fully free access to Experiencias Xcaret Nature parks and tours, as well as each of their dining plans. Feel free at Xcaret, Mexico’s most iconic park. Walk through the trails surrounded by the Mayan jungle, let go on the underground rivers and follow nature’s call through the singing of the birds. Here you will find more than 50 activities where you and your family will discover the natural and cultural richness of Mexico. Flow with nature and discover magic amidst the waters of Xel-Há, the place where sea and underground rivers merge to create this sanctuary enclosed in the Caribbean. 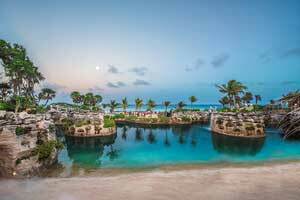 Snorkel among multicolored fish and relax in the lush vegetation. Live different adventures with your family in more than 20 activities, including the new Scenic Lighthouse at 130 feet (40 meters) high with an exciting spiral descent into a cenote. Go deep below the surface and find your way among the caves of Xplor Park. On the surface or in the air you won’t rest, as the adrenaline will raise quickly with the zip-lines and amphibious vehicles that will take you to explore the Mayan jungle. At Xplor Fuego the night comes to life with an intense experience illuminated by torches, to take you to a new level of extreme adventure. Begin this journey at a Mexican carnaval with a very picturesque atmosphere. Then, board your party barge where you’ll meet your new “compadres”, who’ll accompany you through the canals of Xoximilco Cancún on a fun night full of exquisite Mexican gastronomy, open beer and tequila bar, Mariachis and dancing, and the rhythms of norteño, ranchero and many other live music bands. Enter the enigmatic world of Xenses where nothing is what it seems, and reality combines with fantasy. Walk on trails that will make your imagination go wild and sharpen your senses. Fly freely like a bird, walk through a town where up is down and down is up, and walk in pitch black darkness in Xensatorium. Every fantastic scenario becomes a new experience! Go deep into the jungle of the Riviera Maya and get close to the mysticism of four different cenotes and the legends of their rightful protectors, “the aluxes”. In this luxurious tour you will be surrounded by the enigmatic jungle at Xenotes. Connect with nature while enjoying daring activities at each cenote. Tour the legendary city of Chichén Itzá with Xichén. Admire its magnificent buildings and learn about the interesting details of the ancient Mayan civilization. The incredible Kukulkán Pyramid will stand out, taking your breath away. With every step you take through this city you’ll find constructions that have lasted for a long time, each one with a story to tell. 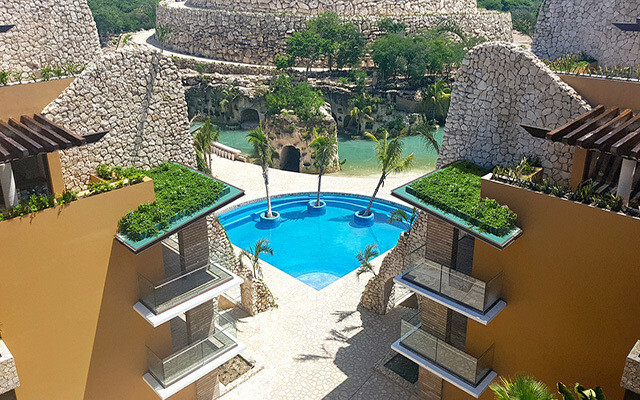 The eco-integrating design of Hotel Xcaret Mexico, adapts the architecture to the landscape in a delicate and caring manner. The coves, rivers, caves and jungle, are present throughout the resort, where everything flows under the principle of sustainability. 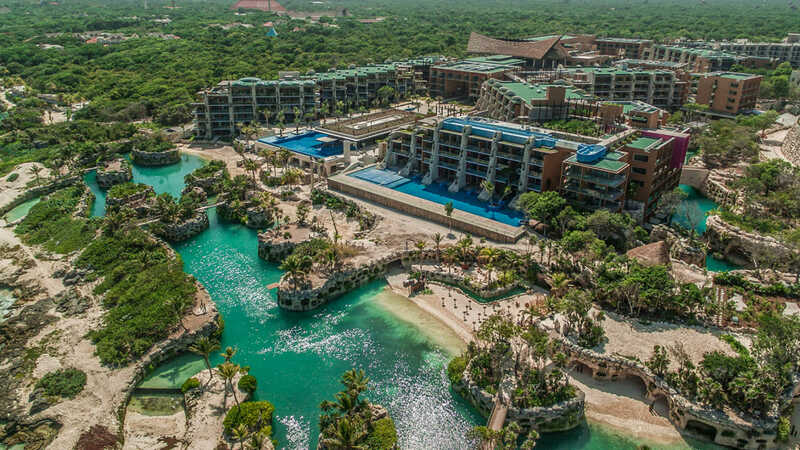 As a result of this, Hotel Xcaret Mexico, upon opening, is the first resort in the American Continent, to be the recipient of an EarthCheck certification for “Planning and Design”. EVERYTHING FLOWS® is our service culture. We strive to anticipate your needs with the best of Mexican hospitality supported by avant-garde technology. Just lay back and enjoy this experience. In harmony with the environment and inspired in ancestral traditions, Muluk Spa is a mystical and natural sanctuary that offers a holistic experience which leads you on the path of complete renovation through relaxation, stimulation of the senses and health. Boasting unique facilities which blend in with nature and enhanced with state-of-the-art technologies, our priority is to achieve wellbeing through high level services and treatments. At our Kids Club, the little ones will have a blast learning about the Mexican culture as they enjoy a wide array of activities that have been especially designed to let their imagination and creativity run free. It is time to create unforgettable memories with new friends! The Teens Club Xiipaal , which in Mayan means “teenager”, is a space specially designed for young people, the force and nature of the future of the world. 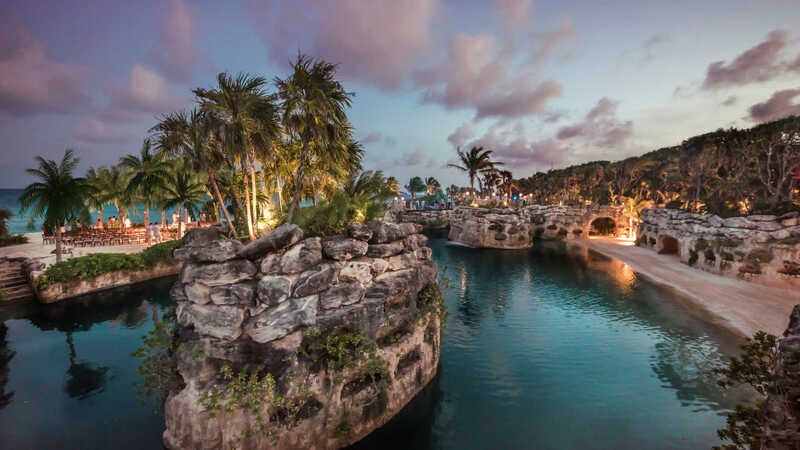 The Club offers several art, sustainability and adventure workshops and activities surrounded by the incredible natural environment of Hotel Xcaret Mexico. The meeting and event spaces at Hotel Xcaret Mexico have that special Mexican ambiance and versatility with locations that only the Caribbean sea and the mystical jungle of the Riviera Maya have to offer. 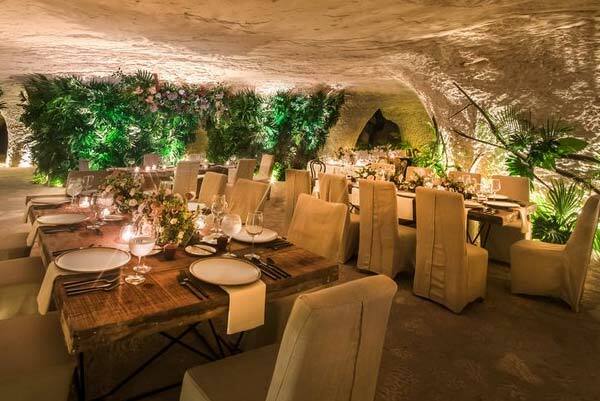 These unique locations, together with our innovative and creative approach, will leave your guests delighted and make your event unforgettable.